Based on the historical records and the personal testimony of his fellow friars, this is the amazing true story of the life of the famous stigmatic monk, St. Padre Pio, a contemporary saint who died in 1968. Blessed with incredible spiritual gifts, including healing, bi-location, reading of souls and the stigmatic wounds, Padre Pio was a powerful witness for Christ, and a great spiritual guide to countless souls for over fifty years. 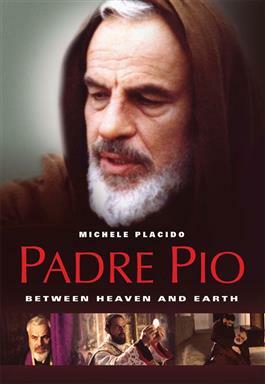 Filmed on location in Italy, starring Michele Placido in a moving performance, this film tells the whole story of the beloved monk from San Giovanni Rotondo, a place where millions of pilgrims now go annually to visit Padre Pio’s grave. Music by legendary music composer Ennio Morricone.